Below is an alphabetical list of cities in Ontario and delivery rates. If you do not see your city, you can fill out the form at the bottom of this page to request a rate quote. Deliveries can be to a rest stop along a highway for people travelling from long distances. We DO NOT deliver to downtown Toronto or some areas of Hamilton. We reserve the right to decline delivery locations. Delivery fees must be paid prior to delivery time/date. C.O.D. is not available. You always have the option to pick-up yourself. If you are, you can still exercise the options to purchase crate(s) and to get a health certificate. If you choose to travel to me, I meet in a public location at 801 Mohawk Road West, Hamilton, Ontario. This is a small strip mall. We would have to arrange a meeting time that works for both of us. There is no cost for this type of pick-up. I do also offer a transport option to meet on the Canadian side of the Canada/USA borders at a coffee shop or gas station, just off the highway. If you do not have a valid passport to enable you to cross the border, you may want to get one or renew it. If you are close, sometimes this is a nice option to save money and be able to come a couple times to get a special baby when you see one come up. Shipping rats is not fun or easy, and it is not for just anyone to take on. When choosing a breeder to ship to you, check out what experiences others have had with the shipments from them. Ask questions such as: did they receive the correct animals? Were they all in good health? Were they the age they were advertised as? If you are having animals exported from a different country, ensure that they are a registered business and that they have the appropriate export licenses (and that you have an import license or an agent, if required). Lately I have heard of many inexperienced people shipping animals with little knowledge of how it all really works, what the IATA (International Air Transport Association) standards call out, not including hydration gel, etc. Using unapproved, or incorrectly sized shipping containers & overloading crates are problems that the receiver (adopter) could be fined for upon arrival. Most airlines do not allow rats & 90% of those will not allow rats as a carry on pet, so there is no benefit to travelling with them. 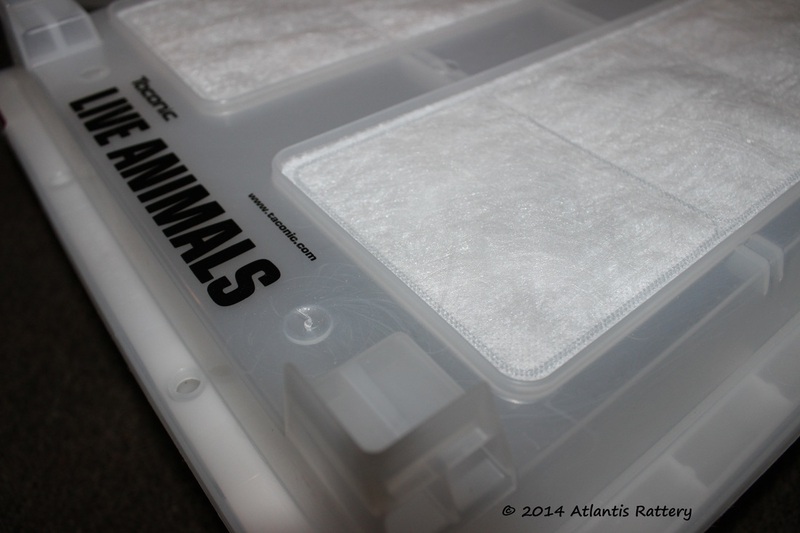 Rats fly as animal cargo with a petsafe program. I have shipped across Canada & the USA. To Netherlands, Germany & Austria. Every time is different. 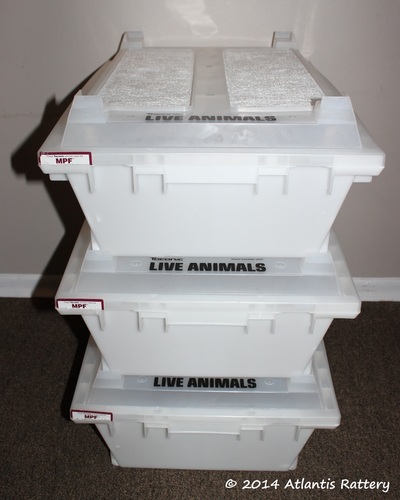 Shipping live animals requires quite a bit of work & co-operation for both the breeder & the adopter. It is a wonderful option for someone to be able to adopt from breeders they wouldn't otherwise have the opportunity to and for breeders to share lines with others who may be on opposite sides of the country. It is generally cheaper to ship animals (via air cargo) then it is to drive, unless you are within a few hour drive. Shipping is also less stressful than a long drive is on the animals. YOU’RE CONSIDERING SHIPPING. WHAT DO YOU DO NOW? Feel free to contact me if you have any questions or to follow up on the application. It will usually take me a couple business days to review the information. I always like to know breeders on a more personal level prior to committing to adopt to them, so it is beneficial to get to know me before applying. This doesn’t mean I will not approve & adopt to newer breeders, I do know that everyone has to start somewhere, but following my lines, and working together with other breeders on overall improvement is important to me. Once approved, there are a few things that we will have to go over regarding planning the shipment. I will describe these points below so you can think about these things ahead of time and be prepared with decisions and/or questions. I will not ship rats in the heat of summer (July-September), unless you live in a cooler climate (which would require pre-approval). Rats can handle the cold far better then they can the heat. Rats shipped (or driven) in the summer quite possibly can overheat and die very quickly. I will not put them at risk for this. Please do not ask. Also ensure that you are able to take time off work to receive your shipment if required. Some locations have very limited flight options. When selecting rats for your shipment, ensure that they are all born within 2 weeks of each other (or confirmed by me to all be able to ship at the same time in). I cannot hold rats for weeks or month at a time while you wait for that one perfect rat to become available. look into taking carriers etc, to satisfy what you are looking for. I do not breed to order. WHERE WOULD THEY SHIP OUT FROM? I ship out of the Toronto Pearson International Airport (YYZ). All costs mentioned are estimates for the shipment only. ​The low end for one crate, higher end is for an overweight shipment. The cost of rats & crates would be additional. WHAT AIRPORT DO I PICK-UP AT? United Petsafe is my most commonly used method. Please use this link for a listing of the airports that are equipped to receive pets with United: https://www.united.com/ual/en/us/fly/travel/animals/petsafe-drop-off-and-pick-up-locations.html Their phone number is 1-800-575-3335 if you would like to confirm 100% that Buffalo Airport (BUF) or Toronto Pearson International (YYZ) can ship to your airport found on the previous link. This is the easiest and cheapest. You will have the most flexible options for flight times. No paperwork or certificates required. If you are planning on handling the customs clearance yourself, it is your responsibility to find out exactly what you require. If your shipment will make a stop over in a different state, make sure you have assessed what that states requirements are as well. It is possible that your state doesn’t require a vet issued health certificate, but the state your shipment transfers in does. You would need to satisfy the requirements of both states. In some cases you can choose to use a more expensive airline and get a direct flight, so that the customs clearance would happen in your presence. The cheapest carrier almost always will use hubs unless you are located in the same city as the hub. The customs clearance then would happen with neither of us present, and can sometimes experience hiccups, or delays. Some people choose to have a health certificate done even if it is not necessary to make the whole process much smoother. If it is a requirement, you need to confirm with the state department how long it is valid for. Some are only 24 hours. Some consider it accepted for 7-10 days. Private Vet Health certificates are approximately $180-200 CAD. The first steps you have to do if you would like to ship from me to somewhere overseas is contact your nearest international airports animal import department. You need to decide approximately how many rats you would like to import and find out what you require to import them. Commonly required documents are a government issued permit from the recipient country in the name of the adopter as formal approval of the import. Canadian certified vet certificate (additional costs approximately $100-$150 CDN). If this is required, please have them email a copy of your countries certificate to you and forward that email to me. There is no “Canadian certificate”. Each country has their own and you must send it to me. Some people choose to have a health certificate done even if it is not necessary to make the whole process easier. If it is not required this would be completed by a private vet & there would be an additional charge. Some countries require blood tests, quarantines, etc. all of which would add to your costs, some require none of the above. Even if you are told you have no import requirements, make sure you have that in writing so you can bring it with you when you have to pick-up your shipment. You WILL need to be available to pick-up during normal Monday-Friday business hours. Usually the customs departments are only open to clear your animals during certain hours and you need to be prepared to accommodate that. Flight costs vary by location, but expect them to start at $650 CAD. Delivery to Hamilton Airport (YHM) $15 CAD *I have not yet found an instance that I haven been able to use the Hamilton Airport, but I decided to include this option in case that changes. Canadian Private Vet health certificate $180-$200 CDN. These are used in countries where the individual or the state/province requires it, but it is not mandatory by the countries regulations. Import taxes and airport/warehouse fees. Some countries will charge you tax on your shipment, or a terminal fee for use of their airport warehouse (this doesn’t require a stay). You can check with your airport if this is something that you should expect. Often there is no charge. You almost always should expect your country to charge you an import tax on overseas shipments. All of my prices exclude customs clearance and destination fees. Every single shipment is different. I’ve tried to cover all the different questions that arise in my previous experiences. I hope this has helped you understand what your options are, see the cost differences, and the amount of work that these coordinated efforts take. The only crates that I have found and have experience with are Horizon Discovery Large Rodent shipping crates or Taconic Transit Cage™ (TTC™) with high profile lid. 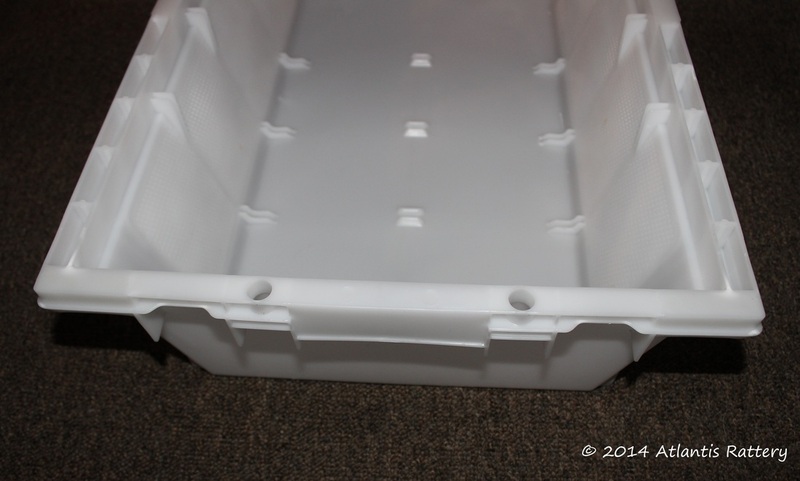 If you own or know someone who owns these crates, you can ship yours to me. I will not use Horizon Discovery Small Rodent shipping crates or TTC™ with low profile a lid. 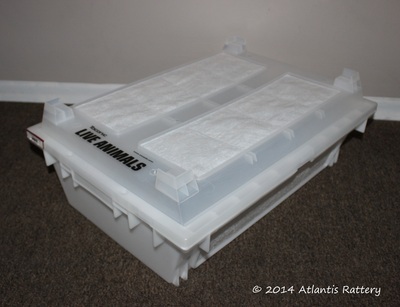 These are not IATA approved for shipping of live rats because they do not have an internal height of 6" which is required by IATA standards. The crates must arrive before you reserve your first rats. Often the shipping is quite delayed, and you don’t want to rats to outgrow your crate by the time it arrives! The Horizon Discovery Large Rodent shipping crates are far nicer in my opinion and much easier to use. 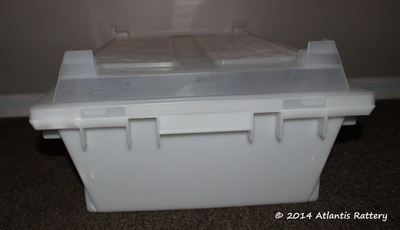 They come with a divider and it is very easy to add in others. 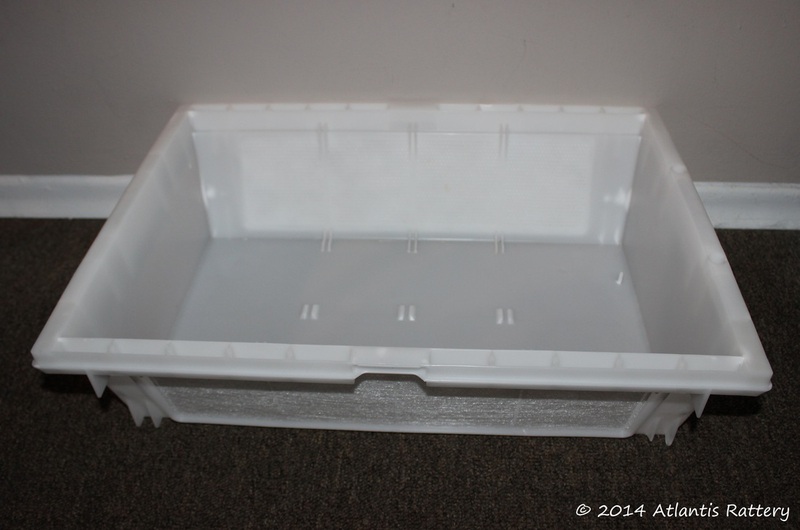 The whole top comes off the same as the Taconic, but it has a large top hatch that you can very easily load the animals in through. The Taconic can also support dividers, but it is very difficult to get them in properly, and they often will fall down (which you do not want when shipping different sexes in one crate). The new Taconics say they have improved this. The only ones I have used are the old style still. Something to consider when choosing your crate is if you intend to use it again in future. If you will be shipping again, or as I do, use it for transporting animals, whether to the vet, a show, event, to the cottage etc. You will own this crate after your shipment, so it’s not an empty cost. Some people choose to sell theirs once they have used them, which you could also do. 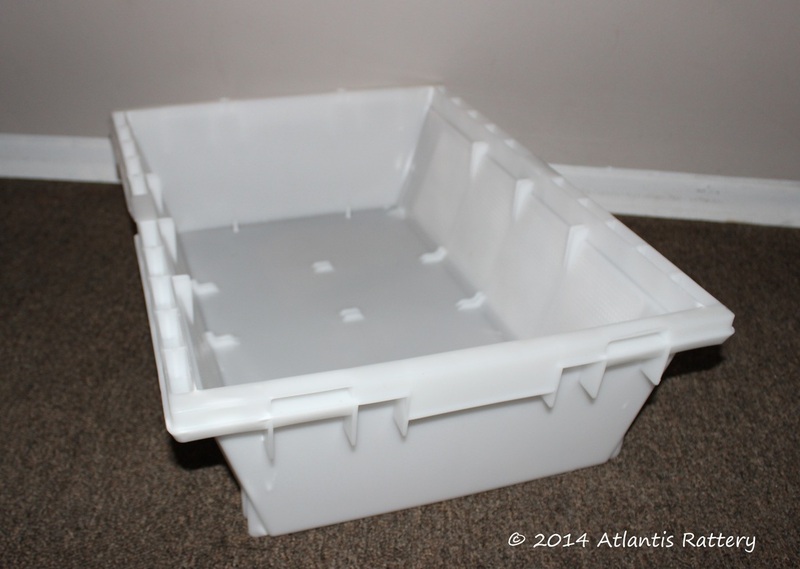 Depending on the crate type, sometimes buying a new one will cost as much as shipping one around. Below are the links to the manufacturers if you would like to review the features yourself. The exterior dimensions make the TTC appear larger, but the inward sloped sides greatly decrease the floor space for the animals. Beware of animal import internet scams!